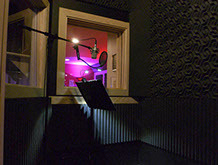 Check with us for all your sound recording needs from voice work to large groups. Utilizing Pro Tools 10-11 HD with video satellite for image playback, as well as plugins to help dial in the exact sound you need. We offer stereo and surround output and Dolby, CD, DVD, BluRay encoding for final delivery of your sound. We can author and duplicate your DVD or CD and can make small runs of your discs or prep for mass reproduction. We have thousands of sounds in our effects library as well as hundreds of pieces of music with buy out rights available. 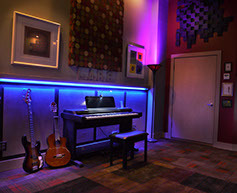 We can customize any of our library sounds to fit you needs as well. At LAB 6 we have a Kurzweil piano and East West orchestra samples, Ivory piano samples and Hauptwerk pipe organs for MIDI composition that can rival full orchestral sounds. Check the samples area to hear these outstanding sounds.